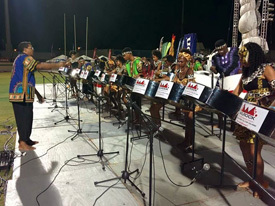 The Laborie Steel Pan Project is an initiative of Labowi Promotions, which started in November 2006 with the support of the Cultural Development Foundation and the Poverty Reduction Fund. 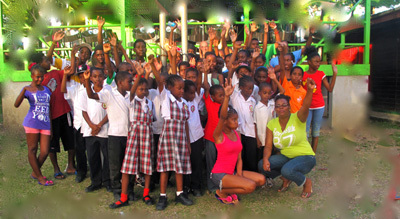 Since then, the Project has been able to achieve much, and more than 80 children and young adults have been trained and given the opportunity to perform. The first appearance of the Laborie Pan Project took place in February 2007. Since then, the Project has performed on many occasions, including its first historic appearance in May 2007 at St. Jude Jazz during the 11th edition of Jazz in the South where it shared the stage with Nicole David (Saint Lucia) and Charles Labinsky (Martinique). The Laborie pan side performed again at Jazz in the South 2008 and 2009 (Rudy John Beach Park), The Choiseul Carnival Queen Pageant show 2007 and 2008; and several celebrations and events in their home village of Laborie. During the past years, the project has focused on training more young musicians, primarily children and young people aged between 6 and 20, and building a strong band able to perform in a range of situations. The Laborie Steel Pan Project also works with schools, and offers an extra curricular programme at the Laborie Girls' Primary School and the Laborie Boys' Primary School. 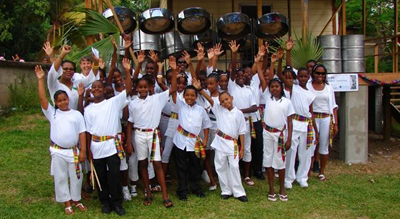 In 2015, three members of the Laborie Steel Pan Project travelled to Trinidad at the invitation of birdsong, with Andrius Edwide performing with birdsong in the Junior Panorama finals (placed 4th) and with Silver Stars in the Senior Panorama finals (placed 3rd). In 2016, again at the invitation of birdsong, four members of the Laborie Pan Project, Andrius Edwide, Karltus Faucher, Shervy Smith and Mickej Simon, spent two weeks immersed in Trinidad’s pan culture. They performed at Panorama Senior semi-finals (with birdsong), Panorama Junior finals (with birdsong) and Panorama Senior finals (with Silver Stars). 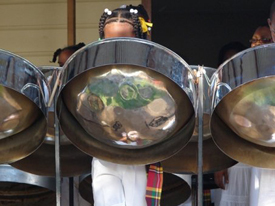 Laborie Steel Pan Project has benefited from the guidance provided by several Saint Lucian arrangers, including Ivan Smith, Hanan Gabriel and Hausan "Zorro" Griffith. 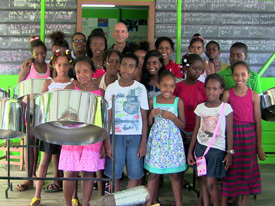 Laborie Steel Pan Project now benefits from the training and support provided by Andy Narell. IS AVAILABLE FOR PERFORMANCES AT EVENTS, INCLUDING PRIVATE AND BUSINESS PARTIES, WEDDINGS, FUNERALS AND FUNDRAISING EVENTS.